GO Airlink NYC provides door-to-door shuttle service in each direction between Manhattan hotels and JFK, LaGuardia and Newark airports, 24 hours a day, 7 days a week. 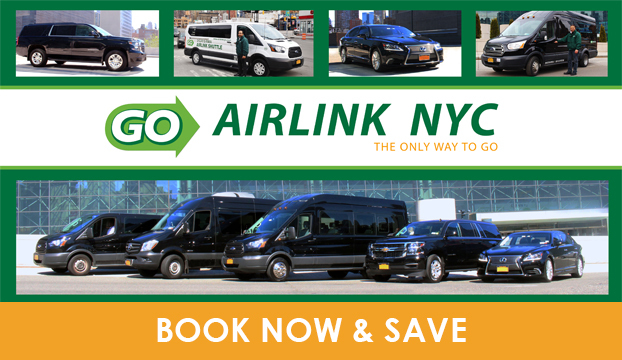 GO Airlink NYC operates a large fleet of modern, 10-seat vans with separate luggage space, air-conditioning/heating, driver two-way radio dispatch, customer assistance in every terminal at JFK, EWR and LGA. We have been recognized by the Port Authority of New York and New Jersey for having the best on-time performance record of any authorized ground transportation company serving the New York City airports.